I recently had a friend over to my house who told me that it was hard to be my friend. I looked around my house at the pile of dirty dishes, unfolded laundry, and box of unshipped orders. It was a mess to say the least. I cringed at the sting of her words, but I pressed into her and asked her why it was hard to be friends with me. 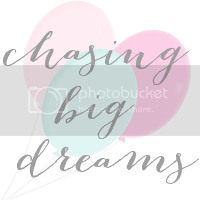 She started to rattle off a list; you're heading off to Paris for vacation, you always seems to get front row tickets to amazing concerts, and you get to have all these fun and exciting adventures. After her words started to sink it, I realized it wasn't the reality of my life she was jealous of but rather the online version of my life. It was the highlight reel that she was watching and comparing to. It was the little snapshots of life, filtered in social media that was causing a drift in our friendship. The truth is she knew me, my weaknesses, my faults, my struggles, but those too easily get forgotten when you scroll through photos of "picture-perfect" lives. another is only leaves room for comparison. 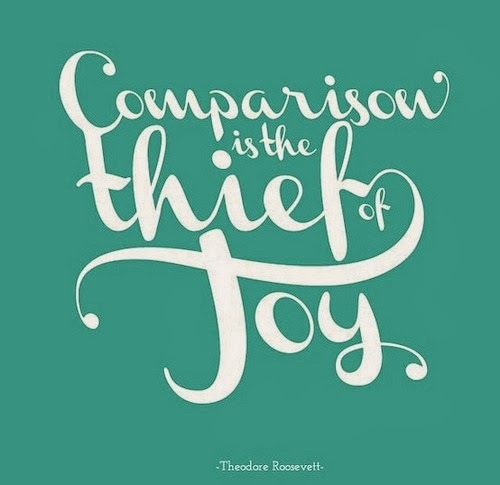 And comparison will rob of so many joys in life. So the real question is, are we really creating community on social media? Because if we are walking away from the Internet feeling worse about ourselves than we've truly missed the mark of true community. Community is being able to say to someone; good or bad I'm along for the ride. There isn't room for envy, jealous, or comparison at a table full of good community. Community is this wonderful thing because its so hard and messy, yet there is grace and love that runs so deep through its veins. I think too often we mistake simple tweets or instagram comments as community. Yes, they are a starting points, but they are certainly not the heart of authentic community. We were created to sit around a table and cry and laugh and share bits and pieces of our hearts with one another. The thing is you were given a beautiful, wonderful, amazing life. Yes, at times its going to be so messy and you might be so caught up in grief that you wonder if you'll make it out alive. And at other times you are going to be so filled with joy that your heart is overflowing with happiness. That's the thing with life; it ebbs and flows and no facebook status, instagram photo, or tweet can simply capture and hold those moments. But you, you can hold those moments near and dear to your heart. You can cup your hands around those moments and hold tight. The smell of your sweet baby, sending your firstborn off to college, watching a dream take off and soar; those are moments worth clinging to. Those are things that can never quite be captured in 140 characters or a filtered photo floating around online. Let's be the kinds of people who celebrate the victories of others and weep for the losses of those we may never meet. The kind of people who are willing to get into the mess that community is. The ones who will choose to speak love over one another instead of jealousy. The people who will show up in mailboxes, for coffee dates, or skype meetings. The ones who don't see one photo and write someone off, but rather digs deep for connection. The kinds of people who reach out their arms and say, "we are in this together." The Internet isn't going anywhere. But how you react to it is in your hands. Comparison or community; you decide. Love this- rings very true in my life lately. so well worded, you are absolutely right, I've been hit many times with the green eyed monster just because all i see are the good things that friends post. and the same thing has happened to my friends with me. I finally had to put myself in check and walk away from being so involved with social media so I can see the real world for what it really is. 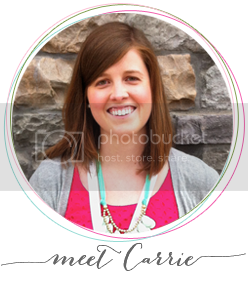 Thanks for sharing Carrie, you are always such an inspiration to me! I love this, Carrie. Sometimes it's easy to believe someone has a better life than me just because of what they post online, but in talking to those people, I've learned that's a poor representation of what's going on in their lives at the time. Community is experiencing the grit of living together, and I think in an age where we can present ourselves however we choose, we've forgotten what it means to dig that trench together. my favorite post you've written. i am guilty of this from both sides-envying someone's "glamourous" life and being the one to only put the fun and exciting parts of my life online. we should all realize that everyone's online life is waaaay edited. thanks for sharing. good words, mama! Beautiful and just what I needed. My resolution for the year is to make this year one of joy! You are so beautiful, sweet girl! Just had to stop by and say how much I am inspired by your posts and Instagram :) Love your heart and wish we lived closer and could hang out :) Hugs! Thank you for bringing this to life. It is a hidden hardship many of us deal with and something we need to work to move past. Don't dull your shine and don't compare it to other's! There is nothing that can surpass the high customer service and satisfaction that a Business Phone Service provides. No matter how high tech you and your customers may be there is no substitute to expressing thoughts and emotions through a call. You can make or break your business with the right call center solutions you provide your patron and potential customers.